becoz of the incident with my uncle, my family decided not to visit other relatives....no mood lar, its different without my uncle around, my mum said. so no visitation...wats there to look forward to? 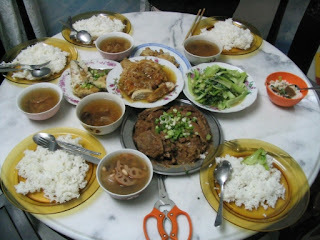 but it was great having dinner at my grand-aunty's house tonite.